In The beginning God created the heaven and earth. And the earth was without form, and void; and darkness was upon the face of the deep....... And God said, Let there be light; and there was light, The Unfolding Light! Light according to the online World English dictionary is the medium of illumination that makes sight possible. The Unfolding Light is dedicated to providing a medium for which sight is possible to those who are consumed by darkness! 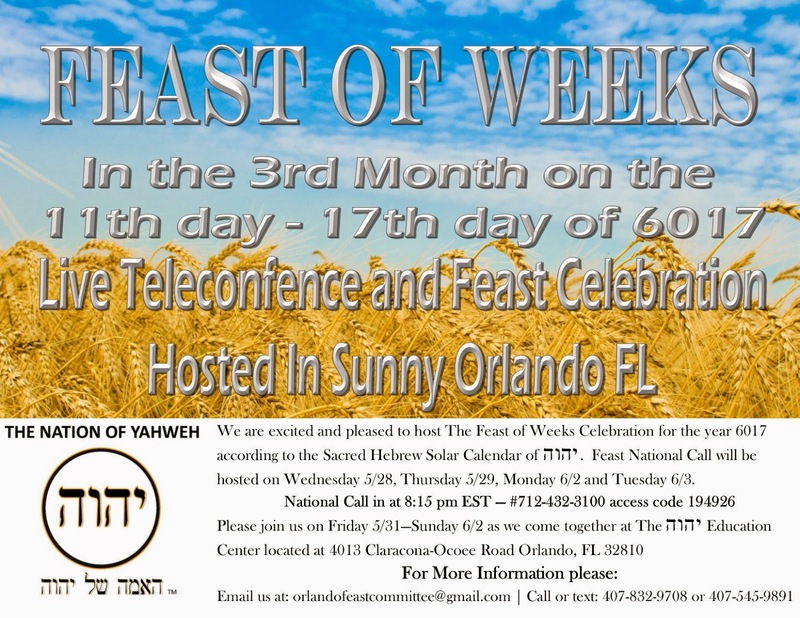 Shalom Family, Tonight, starting at 8:15 pm (CLASS STARTS AT 8:30) we will have our second feast teleconference live, and we are inviting everyone out to this amazing event. The Most Honorable YAHWEH BEN YAHWEH will be teaching us how to “Protect Our Future." Please come prepared with pen, paper and the King James Version of the Bible and a dictionary close at hand, because you will have an opportunity to share what you have learned. 1. It was stated that the name Africa was not the name of the continent from antiquity. How old is the name Africa? 2. YAHWEH BEN YAHWEH stated that this whole game of deception was about cutting us off. Where in the scriptures can we find that we were cut off? 3. Before you can be exalted, what must you be first? 1. What did YAHWEH BEN YAHWEH say about the first fruits? 2. YAHWEH BEN YAHWEH said the root word for Shalom is Shalam. What did YAHWEH BEN YAHWEH say the word Shalam mean? And why is it important to us? 3. YAHWEH BEN YAHWEH said be as a what? And why? 4. What type of spirit YAWHEH BEN YAHWEH said we must have? Press the star (*) then number five (5) to reply during the Q & A.